Whited00r includes a simple user interface to disable unnecessary features or services. Step 5: Wait for the device to respring. Once completed, you're done! Step 2: Open AppStore application that you can find on the HomeScreen. Step 3: Use the built in Search Bar or navigate via categories to look for the application you need. Step 4: Click on the 'Install' button and wait for download and installation of the desired application. Here a list of the most popular free applications (they are cracked IPAs that you can install on Whited00r because it includes AppSync for iOS3) that you can download from AppTimeMachine: Facebook, Skype, Twitter, Opera Mini, Google Voice, Dropbox, Adobe Photoshop, Viber, Kik Messenger, Shazam, Dragon Dictation, Waze GPS Navigation, Google Earth, Evernote and many others. Whatsapp and Instragram can be installed on your device but they could be not working anymore since old version are discontinued. All Whited00r users are invited to visit AppTimeMachine.com and collaborate uploading all the apps that are working on Whited00r, in order to share them to other user. 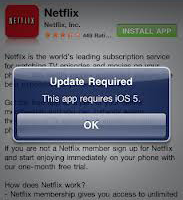 You will help to build the biggest archive of applications tested with iOS3. When you want to share an application (IPA) with other people, you have to crack it: also free apps must be cracked. After this cracking process, all Whited00r user will be able to install and use the application because our custom firmware includes AppSync for iOS3. Cracking IPAs is not really easy, but Whited00r 6 includes a simple cracking tool based on the famous Clutch script. Step 1: Open Terminal (MobileTerminal.app) on your device. Step 2: Type 'crack --' without quotes and with two dash.